ToFscan is a neuromuscular transmission monitor for the quantitative and objective monitoring of the neuromuscular blockade and the patient’s reversal. 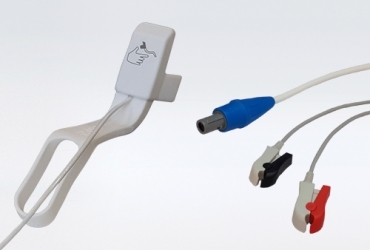 A realistic and complete measurement of the evoked muscle responses is achieved with the 3D accelerometry technology. The user obtains objective results for the selected quantitative stimulation modes. 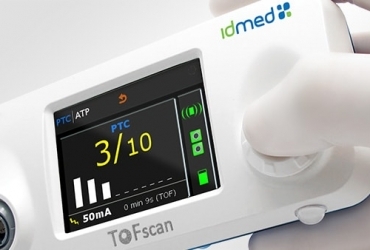 ToFscan is the most reliable way to ensure the absence of residual neuromuscular block. 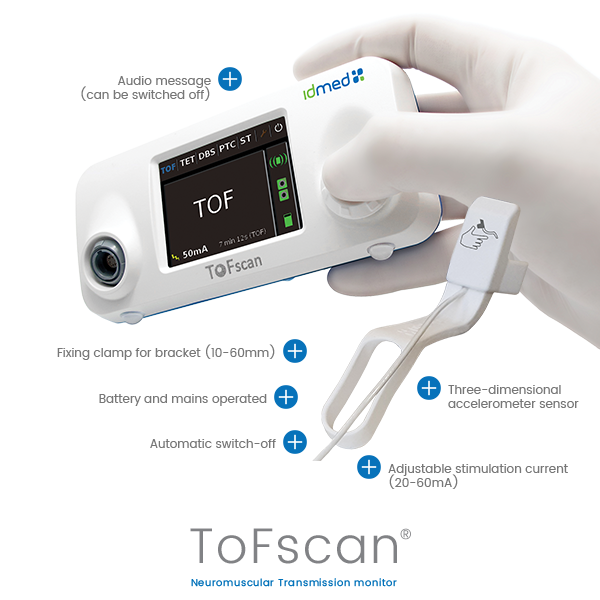 ToFscan has a range of four specific sensors to monitor different sites that do not require any calibration. The ergonomic shape of the sensors makes the measurements reliable while facilitating the work of placing them by the operator. 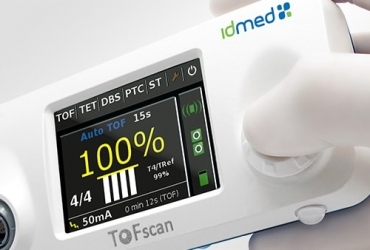 While integrating innovative technology the ToFscan is simple to use. Its operation both on battery and mains makes it autonomous, mobile and usable in situ. 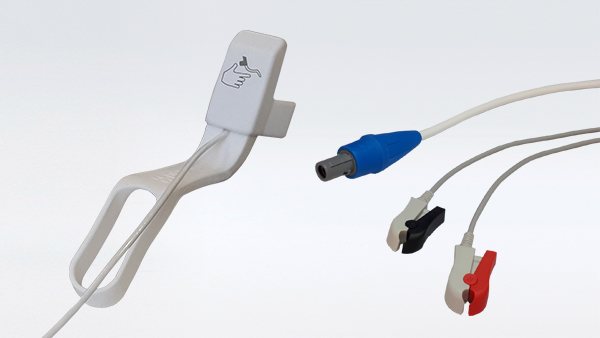 Its fixing clamp enables it to be optimally positioned and protects it against the risk of falling. 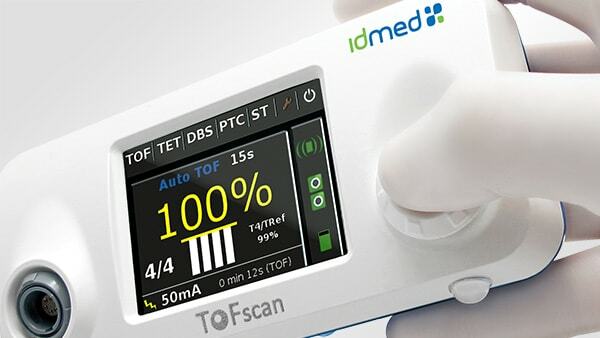 The general design, the screen and the one wheel-button selection makes the ToFscan user-friendly and easy for anyone to handle. 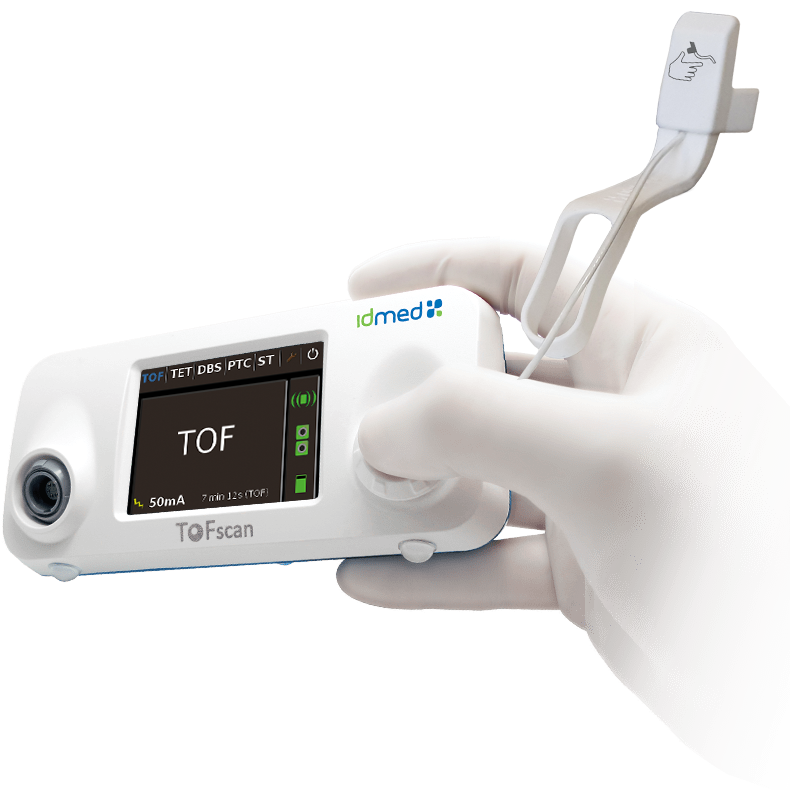 The ATP mode ensures a simplified and continuous monitoring of the neuromuscular blockade, from induction to complete reversal of the patient in an automatic and secure way by combining TOF and PTC.